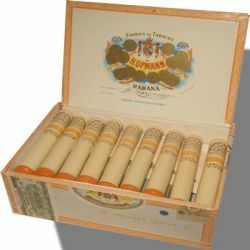 H.Upmann is considered one of the oldest cigar brands in the world. As you would expect from such brand, all the cigars are premium quality and are handmade in Cuba. Many of the cigars by this company have won numerous cigar contests over the years and the brand has gained great reputation and popularity among cigar lovers worldwide. Now you can easily get your own box right here! 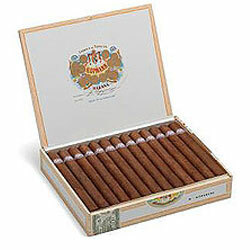 The brand H.Upmann dates back to 1844 and is named after its founder, a banker, Herman Upmann. It is told that he was the one that invented the packaging of cigars in cedar boxes that were used in his bank. H. Upmann holds a stellar range of cigars sizes, aromas and tastes such as H. Upmann Coronas Junior or H.Upmann Petit Corona which will fit almost anyone seeking a pleasurable time. Purchasing cigars with Duty Free Depot comes with a few great benefits – we offer Worldwide Shipping. 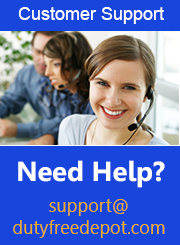 Our sales agents and customer service is professional and will help you in every step of the way – whether you buy online or offline. And best of all our prices are the lowest you will ever find online. And with deals changing literally every 3 days – you will have a great online experience at our store!